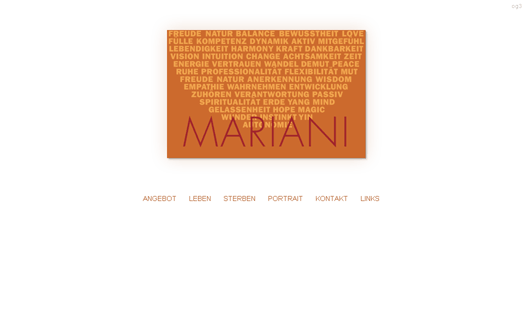 Gabriella Mariani works and lives as a mentor in Klosters and Zurich. On her website, she wrote about her work, the subjects life and death, and about her courses. For the printed version, the website uses a special formatting that has been adapted to the writing paper. The logo type and business cards were designed by Leila Hatt, Zurich.